The Ministry for the Environment (MfE) and Ministry for Business, Innovation, and Employment (MBIE) require a better understanding of New Zealand’s dam infrastructure in order to assess costs and benefits associated with a proposed regulatory dam safety scheme. The aim of this study was to expand and improve the existing New Zealand Inventory of Dams (NZID) to provide MfE and MBIE with an improved understanding of dam assets and associated implications for a regulatory scheme. The current scope of work had three objectives: (1) provision of a standardised, comprehensive, and compatible geospatial data framework to enable future versioning of the New Zealand Inventory of Dams (NZID) and stewardship of the dataset; (2) improve completeness and reliability of the NZID, to enable best-possible representation of dams in New Zealand, and (3) using the updated inventory, characterise the New Zealand dam asset portfolio and provide statistics regarding dam height, location, purpose, and reservoir size to inform regulatory decisions. 2048 dams were added to the inventory. Existing attributes were corrected for 438 dams in the updated inventory. 47.3% of listed dams have unknown reservoir volumes. 24.2% of listed dams have reservoir volumes less than 20,000 m3. 40.3% of listed dams have reservoir volumes less than 100,000 m3. The median reservoir volume for the dataset is 23,000 m3. Of the four main dam purposes, HydroElectric Power Supply dams have the largest median volume (465,000 m3), while Detention dams have the smallest (8,700 m3). With reference to new and previously proposed height-volume thresholds for inclusion in a proposed regulatory framework (Ministry of Business, Innovation and Employment, 2014), analyses of the NZID V4.0 in this report illustrate the need for careful selection of threshold criteria. Specifically, the application of threshold criteria should be considered with respect to dam height and volume, corresponding capture of higher-consequence structures (i.e. Potential Impact Category), and overall proportion of structures included. For example, an inclusion threshold of ≥ 4 m height and ≥ 20,000m3 volume; OR ≥ 30,000m3 volume would capture 27.5% of structures in the NZID, including all known High PIC structures. However, 48% of dams lack sufficient height and volume attributes to be tested against the proposed threshold. A range of alternative height-volume thresholds are applied to the NZID V4.0 in the body of this report, with the intent of providing objective data to help inform the selection of threshold criteria. While this report is based on the ‘best available’ dataset of 3284 dams in New Zealand, source data limitations are inherent. Further work is recommended in cooperation with regional authorities to identify uncatalogued structures and maintain the NZID as a live record of dam assets in New Zealand. The continued stewardship of the NZID dataset would improve overall understanding of the asset portfolio for management, research, and regulatory stakeholders in the long term. 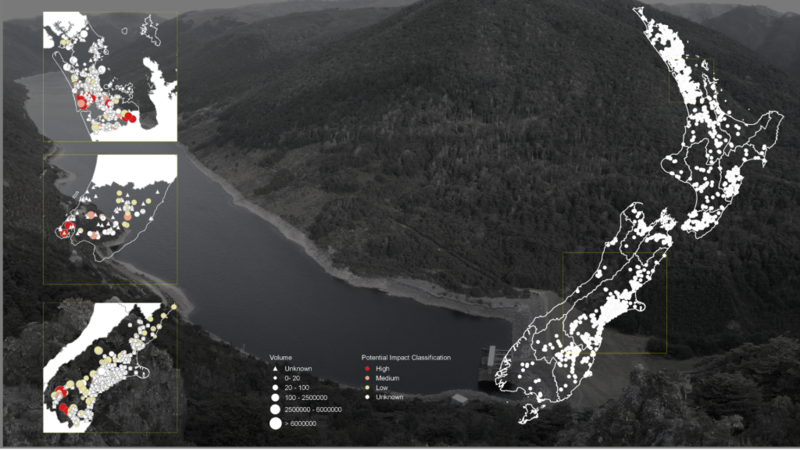 The NZID project aims to provide a standardised, comprehensive, and compatible geospatial data framework to enable future versioning of the New Zealand Inventory of Dams (NZID) and stewardship of the dataset. The primary analytical purpose of the project is to improve inventory completeness and data quality, to enable best-possible representation of dams in New Zealand. Finally, using the updated inventory, the current project seeks to characterise the New Zealand dam asset portfolio and provide statistics regarding dam height, location, purpose, and reservoir size to inform regulatory decisions. The project is led by Dr Kaley Crawford-Flett of the University of Canterbury (UC) Quake Centre (Quake Centre).  Kaley is assisted by Professor Matthew Wilson of the Geospatial Research Institute (GRI). Eduardo Pascoal has been engaged by the Quake Centre in the role of Geospatial Research Engineer. The Geospatial Research Institute Toi Hangarau is a world class centre of interdisciplinary geospatial expertise in New Zealand. Level 4, Julius von Haast Building.